There’s a new kid in town in Bayport, and Frank and Joe Hardy aren’t really sure what to make of Max O’ Malley, the Magician. Not only is he totally annoying, he claims that he can make anything—or anyone—disappear. 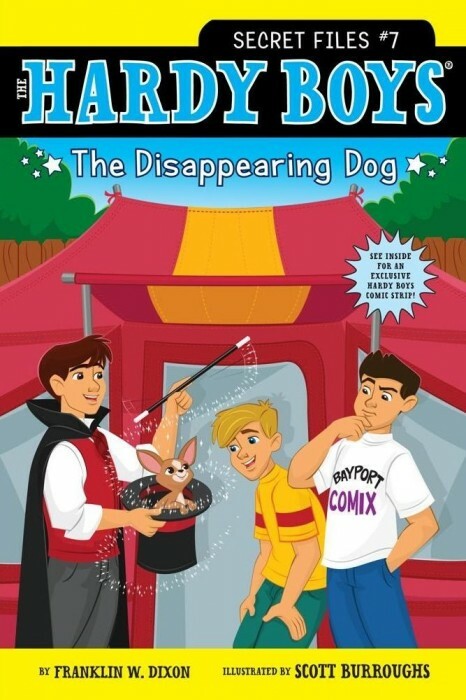 Though Max wins over a bunch of his classmates, Frank and Joe remain skeptical—until Mrs. Briar’s prized show dog, Charlie, suddenly disappears—and keeps on mysteriously diappearing and reappearing. Max quickly becomes the prime suspect, but is he really the one behind the strange occurrences? Or is Max really as magical as he says he is? 015 Ship of Secrets 012 Lights, Camera…Zombies!